A truly beautiful island. The isle of pines was the original pirate hang out. Spend some time with a driver exploring the island is well worth it. We zipped around in our dinghy in a huge estuary at Isla de la Jeventud, Cuba looking for Manatees. Manatees inhabit fresh, brackish, and marine waters. Certain habitat characteristics have been identified as important for manatees, such as water depth, available vegetation, and access to freshwater. A place of legend, promise and abundance, Isla de la Juventud and its people have endeavored to achieve many hopeful projects. What holds places back when there is so much promise? Recognized as a jewell of the Caribbean for centuries it continues to harbor its people, floating as it is, on an ocean of broken dreams. Collaboration rather than enmity is surely the best way forward. Click on the image to see more photos at our google plus page. The Island (La Isla) has over 500 years of history since Columbus first landed there in 1494. Before Europeans discovered the island several indigenous populations existed there for centuries. When Columbus landed it’s easy to imagine them fleeing the area. Wouldn’t it be amazing if their rich oral tradition had somehow survived to this day? It's difficult to fully appreciate the wisdom we may have lost because of the demise of indigenous peoples around the world. Other, more modern forms of knowledge seem to have skipped the Island. The library at the school we visited was a small room with what looked like an information center with nothing but pamphlets. The place must have looked like paradise to the sailors on Columbus's ships. I'd like to read the log books of some of its centuries old residence to find out how they thought of the place. Columbus named the island San Juan Evangelista. (Isla Hoven) Young Island, A.K.A, Isle of Grapefruit, (Isla de las Toronjas), Island of Pines, or The Island of a Thousand Names has been administered by England, Spain, America, and now Cuba. 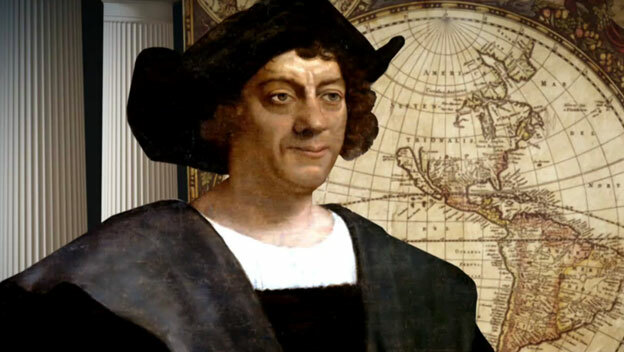 After grueling voyages across the Atlantic and through the Caribbean, and having entered the deep bay of Siguanea surrounded by land on all sides, Columbus ordered his men to go ashore to find food, water and firewood. His ships were also in need of repair and the island supplied all his needs. Some historians believe this happened near the Diving Center at “El Colony” in Siguanea Bay. We gently sailed Ventenar into Siguanea Bay at sunset in January 2014. Our merry Globe Hackers first attempted to came ashore at Hotel El Colony on our dingy without any knowledge of the history of the place, only to be told that this was not the place to check onto the island. We went back to Ventenar and motored to the official marina, a tiny place, at a few hundred meters away. The marina looked like it could accommodate only a few boats plugged in. There’s a dive shop, a head (with no toilet paper or regular maintenance) a basic shower with a hose populated by frogs, giving you an initial frog shower when you turn on the tap in the morning – step aside, they’re harmless. Through the gate and a few hundred yards down a quiet tree lined street with old machine gun emplacements facing the bay is Hotel El Colony where you can have some restaurant food, have a sit down with toilet paper (especially when the baseball team is coming for an event) take a swim in the pool, a cold shower with all-in-one-soap by the pool, watch some baseball on TV in the lobby, change some money, arrange for a car and driver to take you around the island, and figure out how to get online for a while to check in with your business. Yes indeed, the hotel is a much-appreciated convenience after beating your way around Cuba, and some hard motor sailing. I remember the first morning there, with dew on the bigamy, good for washing your face and hands, the island looked like a dream. Some fishermen were paddling out with inner tubes, and the sunrise made the pines on the mountain ridges pop out like fractal toothpicks. The hotel, from which we had heard Cuban music blaring the night before looked like a Hollywood movie set with it’s 50s style pool and bungalows. One could hear the ground speaking stories of pleasure, pain, hardship and hope. We could only speculate at to what use the place had been put to over the years. Was this the place the leaders of the revolution used to come to have a good time? Or was this the place Government Officials took bribes from Mob Bosses. We had no idea and our imaginations went wild. Alas the hotel was practically empty until the baseball team came around for a celebration. There were a few European tourists at the hotel who were visiting mostly for the diving, and we had seen another Catamaran in the bay when we pulled in, but it was gone now. Such a beautiful place, such a quiet place. This was, perhaps, an island of natural riches. Apparently there’s quite a bit of marble on the Island. We saw many farms, dairy farms, and even noticed a small fishing industry. On the South American side of Cuba it’s easier to let the people fish, as it’s a long, long way to El Norte from that part of the Caribbean. People will tend to stay put in such a remote place and enjoy their peaceful island lives. We didn’t hear the dreams of travel that we heard from people in Havana. Tourism seemed also important, even at a trickle. Unfortunately, as with other places in Cuba, it gave me the impression that its still waiting for better days. For many reasons that I won't go into, Cuba is a place with largely empty shelves. You won't find a Starbucks or a mega-store in Cuba. I remember visiting islands in Thailand in the late '70s and early '80s, and I'm still feeling a little pang of nostalgia for the days when Thailand was simply Thai, when Bali was simply Bali. Cuba is simply Cuba - for now. We were lucky to arrive when we did. The Colony Hotel was getting ready to host an event for the local baseball team that apparently won a baseball championship. This would be a great chance to see how the locals and Cuban sports stars let loose at a party. I had the feeling it would be quite tame. In these kinds of places one's refuge is with one's family and things aren't allowed to get too complicated, or too exciting. Names, names and more names reflect the turbulent history of the island. From the sixteenth to the eighteenth century it was referred to as: Evangelista, Santiago, Santa Maria, Pirate Island and Treasure Island. A place that long served as a refuge for pirates simply must have treasure on it, don’t you think? There were many varieties of parrots on the island as well, and so it was also known as The Island of Parrots. Since Columbus, the place was a perfect island for seafarers to resupply and perform repairs on their boats and ships. 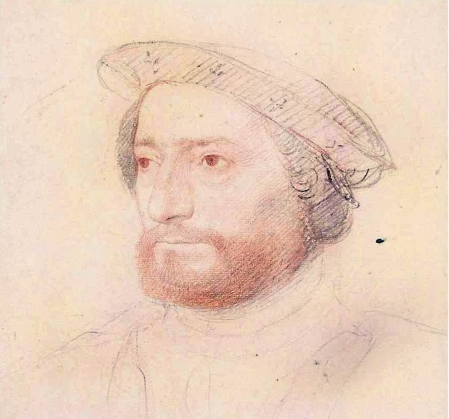 Jean Francois La Roque may have been the first pirate to use the island as a good place to launch ambushes on unsuspecting ships. The governors of Cuba largely ignored the island until 1565 when privateer John Hawkins decided to hole up there. 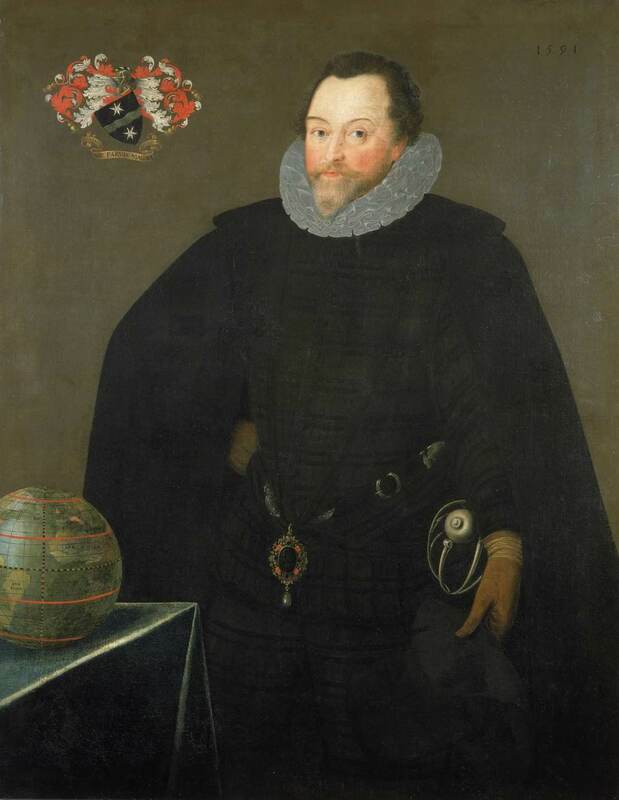 Francis Drake’s last voyage to the island was in 1586: no doubt the hundred years from Columbus until Drake must have known many exciting adventures. You can almost hear the pine trees speak while walking at sunset from the Hotel to the marina. The first naval battle of the American continent was fought in the bay between the English and the Spanish in 1596. Later in the century Dutch privateer Van Caerden and the English pirate John Oxman used the island as a refuge. It’s obvious when you look into the history of the place that it’s had a turbulent past as a hotly contested territory. Eventually the island was settled and institutions began to take hold. By 1899 the island had 3,200 settled inhabitants, and after the independence of Cuba the jurisdiction of the island was contested by the United States. For more on that have a look at the history of U.S. president William McKinley. After the Hay-Quesada treaty in 1925, Isla de Pinos was recognized by the U.S. to be Cuban territory. Most American families at that time sold their land and repatriated to the mainland. This brings us to one more dramatic and ghostly destination on the island, Model Prison. With a capacity of over 6,000 inmates and modeled after the Joliet prison in Illinois, the island took on a new moniker, Isle of Prisoners. From 1931 until 1935 there were 532 officially registered prisoner deaths at the institution. Year after year the place was rampant with corruption, murder, violence and decay. It was a real horror story, and walking around the place you get a palpable feeling of dismay and desperation. They did all manner of prison based social experiments during its heyday, apparently a series of dictator run governments believed prisons were an integral aspect of good social engineering. You would need a very good budget to run an institution like Model Prison. The place boggles the imagination. It’s a must see if you go to the island. It was an emotionally taxing place to wonder around. The museum, where they have old photographs and memorabilia is setup in the building where they used to house political prisoners. All the gadflies of the revolution seem to have done time there. It's a relatively comfortable place compared to the main prison buildings. Most museums are staffed by a skeleton crew who appear to be relaxed and willing to engage if approached. If you speak Spanish you're going to get a lot more out of the experience. Unfortunately our group's Spanish language skills have been evaporating since high school. The old administration buildings near the prison are now homes to local businesses. The island was also used for concentration camps during World War II, housing prisoners from Japan, Germany and Italy. From 1959 it was called the Siberia of Cuba and held many famous political prisoners. Ramon Grau San Martin, Fidel Castro, and Raul Castro all did time there. The prison was closed in 1967 and declared a National Monument in 1973. I guess Soviet Cuba didn't have the need to lock up 6000 Cubans and the aid money was spent elsewhere. The concept behind the prison came from a well known 18th century prodigy and founder of the philosophical school of utilitarianism Bentham, Jeremy (1748–1832). Read about the THE PANOPTICON here. 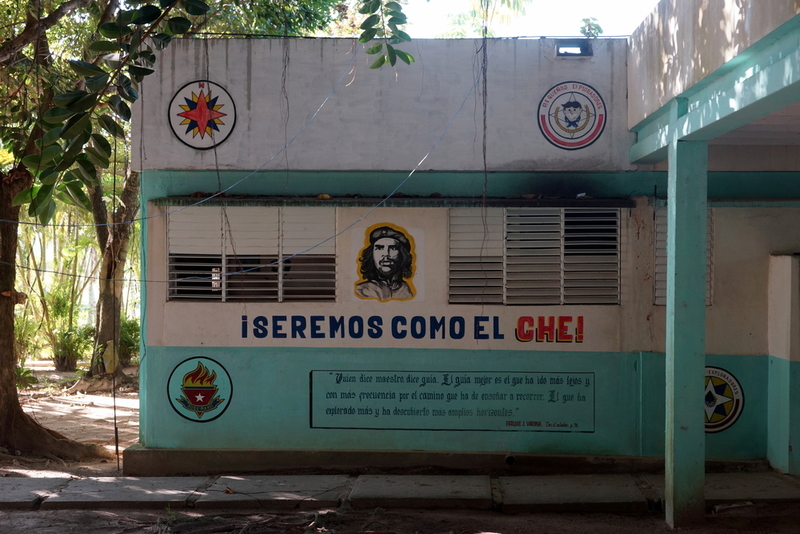 In the 1970s, while Cuba was still supported by the Soviet Union a building boom began on the Island where dozens of schools were constructed. By 1978 the island of a thousand names became known as the Island of Youth (Isla De La Juventud). During this time thousands of students from around the world and all over Cuba studied at the colleges on the island. Most of the schools are dilapidated now, and many have closed. It doesn't seem they ever really had a chance to thrive. The population is now somewhere around 86,000 people. The island contains many secrets yet to be revealed. I hope people can prosper there, and that a new identity will emerge, as bright and hopeful, as all the young people must have been when they were students on the island. But how can collaboration with its huge neighbors to the north happen with out a "strong manager" to look out for all those special interests groups that would perhaps help make Cuba look a bit more like Jamaica, The Dominican Republic, Haiti or The Caymans? The more I learn about the Caribbean the more complicated the region becomes and the more fascinated I am by its history and cultures. click on the image to see more photos of model prison at our google plus page. Can you see the little red flowers at the right of the photo? That's Chinese Lantern. Our driver pointed out a plant that he said was very bad (mui malo) called Marabu, or Chinese Lantern (Dichrostachys cinerea). It’s a fast growing woody weed that can grow to a height of 20 feet. It has dangerous 3-inch thorns that grow from its branches. It also has fragrant fluffy flowers that make it a much sought after ornamental plant for private gardens. Thus the plant was introduced to Cuba as an ornamental shrub. Now it’s simply yet another invasive species that causes more harm than good. It’s apparently a very stubborn bush to remove from the landscape. This writer supports a dynamic bio dynamic Earth. It seems humans are also a bit like a weed, and we have to reap the consequences of our efforts to produce prosperity. I'm sure deforestation began on the island when Christopher Columbus's crew started repair work on their ships, and continued right up through La Revolucion when Che decided more farm land for the peasants was the answer to all of Cuba's, or shall I say, Latin American's woes. It really doesn't matter what ideology you sport, we don't seem to be able to penetrate the complex mysteries of complex natural systems to a point where we can avoid unintended consequences. What's sadder is that when we find out what we've done, we find it even more difficult to take responsibility for it. It's very innocent looking as an ornamental shrub. While the Soviet Union was supporting Cuba it could provide finance and equipment for sugarcane farming on the island, but after the breakup of the Soviet Union things deteriorated and support from the USSR for Cuban agriculture vanished. Marabu took over the island, and the farmers, lacking heavy equipment to dig it all out, were stuck with a nightmare situation: no place to plant. Cuba currently imports 70% of its food, and with Marabu swallowing up 5,800 square miles of land the country desperately needs a solution. Lucky for international cooperation, a British company, Havana Energy, has partnered with Cuba’s sugarcane industry to create a bio fuel plant that will be able to use the calorie rich, dense Marabu plant as a source of energy. (I hope it's not just P.R. talking.) Finding new uses for the Marabu weed might be the saving grace of the Island’s farming industry. Let’s hope it works out. There are many national parks on the island and we spent a half-day searching for Manatees in the bay and didn’t see anything. Professor Daniel Gonzalez-Socoloske, from Andrews University leads groups of students to the island every year to study the life of Manatees. Operation Wallacea also has a conservation and research project in the Punta Frances National Park. I hope this kind of international cooperation continues on multiple fronts in the future. Cuba doesn’t have the oil reserves of Venezuela, but it’s a rich place in so many ways nonetheless.